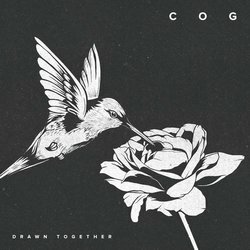 Following the releases of 2018, The Middle and Altered States, progressive trio Cog are set to release their third single as they redefine their practice within the modern music landscape. A testament to their creative camaraderie, Flynn Gower (vocals, guitar) and Lucius Borich (drums), have been playing together since 1998, the two engaging Luke Gower, the brother of Flynn, to play bass. Now a trio with an entrenched bond, Cog established themselves as a popular gig attraction in Sydney and the surrounding state of New South Wales, and following the release of a 2000 demo recording, Pseudo, they were soon signed by the independent label Little Samurai, resulting in a few EP releases: Just Visiting, Pt. 1 (2002), Just Visiting, Pt. 2 (2002), and Open Up (2003). Preceding 2008’s album Sharing Space Cog's debut album, The New Normal (2005), is now hailed as a classic. Having debuted in the Top 20 of the albums chart, hitting number one on the Australian Independent Recordings (AIR) chart and was voted number 50 in the Australian Albums of All Time; moreover, the album spawned the popular radio single Run, which reached the Top Five of the AIR singles chart. With ascendant harmonies and perception shattering changes, Drawn Together draws on the intrinsic value in social connection to break through modern misdirection and offer solidarity via determined riffs and compassionate declarations.